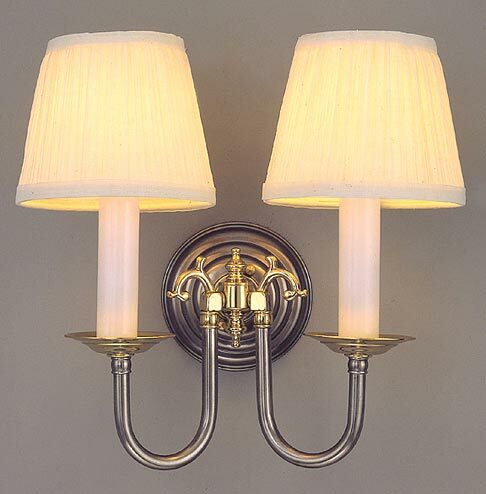 This 'Country English' wall lamp is just gorgeous in mixed metals. Colonial in style and delicate enough for placement in many settings. Looks great in other metals like polished brass, nickel and even our bronze! See MODEL NS102 for a minor change of finial for a different look. Also see MODEL NS122 for another angle.